The county’s Department of Health Services is asking for the public’s help in identifying a patient picked up by paramedics last November in South Los Angeles, about 10 miles northwest of the Long Beach border. The Latino man was found at South New Hampshire and West 112th Street on November 5, 2016, according to county officials. Paramedics brought him to a local hospital which is now seeking the public’s help in identifying him. He had no documentation or evidence of his identity with him when he arrived to the hospital, county officials stated. “He is currently alert but unable to communicate any information that will assist to identify him,” according to a release. Health officials tried to identify the patient through other means over the months but have exhausted those avenues, which included working with law enforcement. 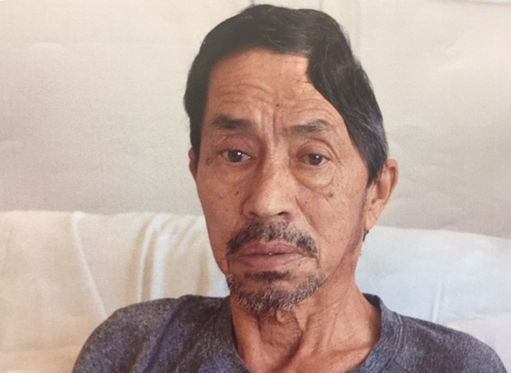 He is described as Latino in his late 40s with brown eyes and brown and gray hair. He is 5 feet, 6 inches tall and weighs 140 pounds. He has a slight build and no tattoos. Health officials said he arrived at the hospital with a well-groomed mustache and goatee (also brown/gray) and was wearing gray dress pants, white Adidas sneakers with black stripes and a black belt. Anyone with information that may help to identify him is asked to contact (310) 222-4235.